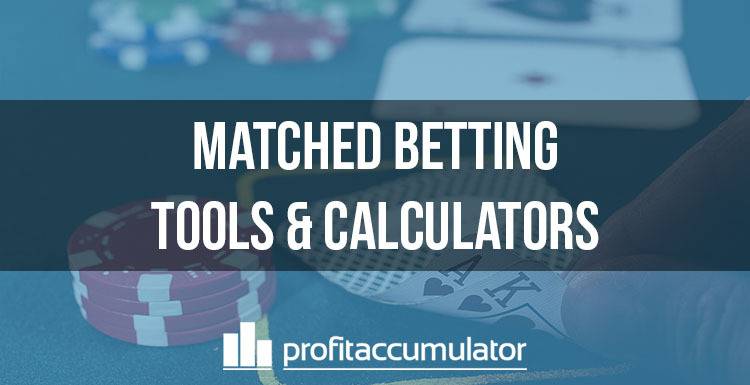 One of the main advantages of using a service such as Profit Accumulator is access to matched betting calculators and other useful software. 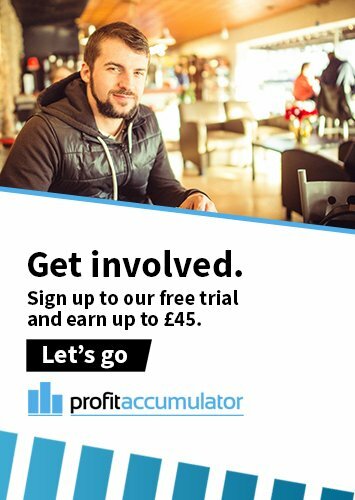 Profit Accumulator's free matched betting calculator is available to everyone but members also get access to more features to help minimise the time needed to maximise profit. This software makes matched betting far simpler and speeds up the whole process. 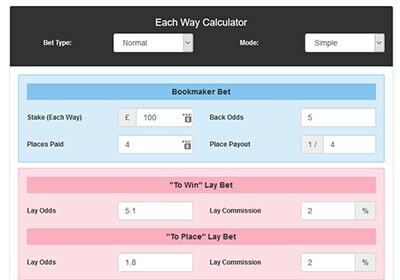 The simple matched betting calculator is where all matched bettors will start out. It's often the most crucial tool for matched bettors and Profit Accumulator members when making money online. It lets us figure out how much to back and lay to make a bet risk-free. The type of bet, back stake, back odds, lay odds and lay commission are factors to let the user know how much to lay, what the liability will and how much profit or loss will be made. The advanced feature lets users know their position, should they want to underlay or overlay their bet. This is not the same as odds comparison platforms such as Oddschecker. Sometimes know as "automatcher" the oddsmatcher helps users find back and lay bets that are close to each other in price. Matched bettors look for odds that are closely matched, to limit the amount lost in the qualifying bet stage. Sometimes, the back odds are better than the lay odds, when an arbitrage bet opportunity arises - also known as an arb. Profit Accumulator's oddsmatcher is highly customisable, allowing users to filter by bookmaker, sport, market type, exchange, timeframe minimum and maximum odds and much more. There is also a text search function for those looking to bet on a particular event, team or horse. This tool helps matched bettors work out the lay stake for each-way bets. It calculates the lay stake for both elements of the each-way bet - the win and the place. This helps because, betting exchanges regard these as two different bets. It also allows the user to input the exchange commission, the number of places paid by the bookie (one to four, for example) and the Rule 4 deduction - the price change if a horse is withdrawn from a race. The Fixabet calculator can be used when you have made an error or if you lay bet is only partially matched. This can be really useful if you've made a mistake as a way of working out how to get all or some of your money back. Profit Accumulator's spread betting calculator is one of the more advanced tools available to members. It can be used for Sporting Index and Spreadex and allows users to calculate their overall position based on buy and sell prices, risk amount and stake override. It is one of eight advanced calculators available to PA members. This tool allows users to work out how to "lock in" a profit if a certain event occurs. This is useful for making the most of offers such as "bet paid out as a winner if your team goes two goals ahead". Dutching is a strategy that involves backing multiple outcomes, to minimise risk and guarantee a profit. PA added dutching oddsmatching software earlier this year to help members find opportunities to dutch and users can use a dutching calculator to complement the software. 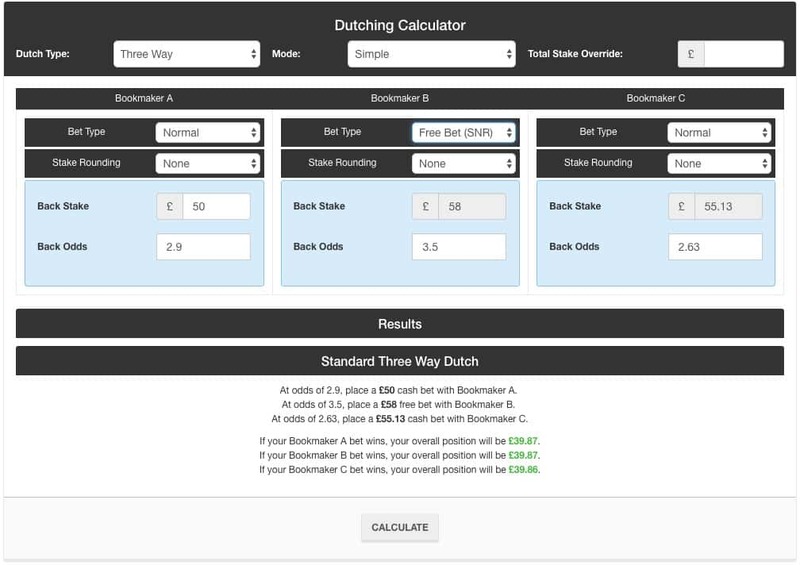 The dutching calculator has two-way or three-way modes, and a simple and advance setting. The calculator helps members work out out how much to stake with each bookmaker or exchange and show the potential profit or loss. 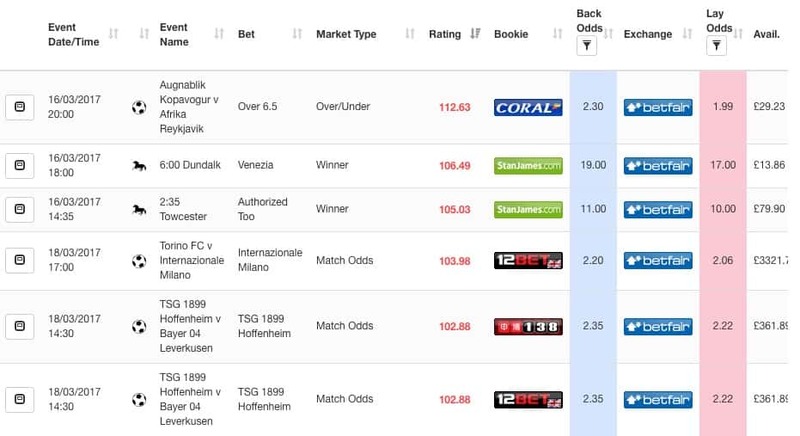 Users can chose 'normal' or 'stake not returned' for each bet, depending on the terms of the offer from the bookmaker. There is 'stake rounding' feature, which should help keep your bookmaker accounts healthy or the ability to enter a maximum total stake override. Switch to 'advanced' view and you get the option to add commission - for if you are using an exchange to place your back bets. Double Delight, Hat-trick heaven (or DDHH as it's known) is a regular Betfred offer on first-goalscorer markets. On some matches, Betfred doubles or trebles the odds if your chosen first goalscorer goes on to score twice or complete a hat-trick. Because first goalscorer odds are usually quite long, this can prove to be very profitable. The DDHH calculator is similar to the standard calculator in that it allows members to input their back stake and odds, as well as their lay stake, lay odds and commission. There is also the functionality to add your own lay stake to adjust the calculation, if needed. Members can calculate how much they should lay, what the liability will be and the qualifying loss as a percentage. 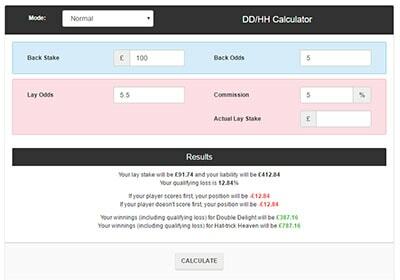 The DDHH calculator takes the information to display the amount of profit if a player scores first, scores twice or scores a hat-trick.